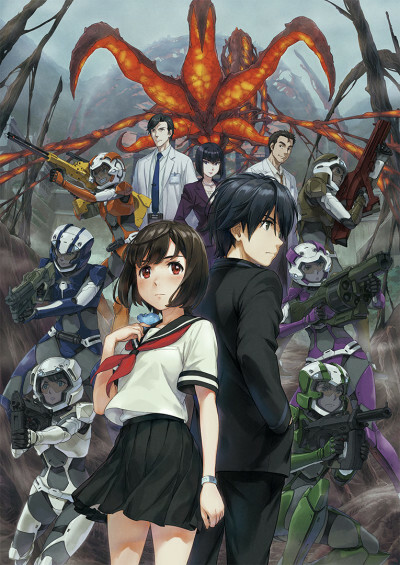 In Japan in the year 2035, an accident known as the "Burst" occurs during a research project, spawning an out-of-control artificial life form called "Matter" that has spread throughout the Kurobe Gorge. The research city that was once hailed as the hope for humanity is cordoned off by the government. Two years later, 15-year-old Aiko Tachibana, who lost her family in the Burst, learns something unbelievable from Yuya Kanzaki, a new student at her school. A secret is hidden within her body, and the answer to the puzzle lies at the "Primary Point" that was the center of the Burst. When boy meets girl with the fate of humanity in their hands, what new truth will come to light? A cluttered but ultimately satisfying venture into the heart of a biological abomination.